Looking for your skin to look WOW! 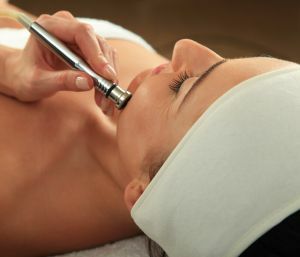 Microdermabrasion is an effective deep mechanical exfoliation to remove dead skin cells from the surface of your skin. This means your skin will immediately look and feel brighter and smoother without any downtime. Can I have it before my next big event? It’s the ideal treatment before your do – birthday bash, Melbourne Cup, School Reunion, Christmas party. TBH – I wouldn’t have it immediately before my wedding. While the chances of an adverse reaction are minuscule you don’t want to risk any complications. It’s a great treatment leading up to your wedding and would strongly recommend a series of treatments three months before the big day. So, how’s Microdermabrasion going to help my skin? It is safe and so can be an alternative to more advanced treatments such as laser. Improves circulation and lymphatic circulation deep within the skin, which equals improvement internal health of the skin. The enhanced blood flow means more oxygen and nutrients are supplied to the cells. Helps reduce the appearance of skin pores (for further improvement I suggest a skin smoothing treatment at home). Can everyone how have Microdermabrasion? Then microdermabrasion is not a suitable option. When skin is comprised due to an impaired barrier or acne breakout there are several treatment options more suited to calming and soothing the skin. Can it remove my acne scarring? Permanently remove fine lines and wrinkles. Microdermabrasion offers a safe and effective way to improve skin clarity and brightness without any adverse reactions. For continued visible results a series of 4 to 6 treatments are recommended every 2 to 3 weeks. Microdermabrasion also increases skin benefits when combined with other skin treatments including intense pulsed light, skin peels and LED light therapy. So, if you are planning a big event and want to have that skin wow factor – microdermabrasion is your treatment of choice. Call us now to arrange a FREE Complete Skin Consult (Normally $75) and we can discuss your skin concerns and treatment options.